learn more about cross, inc.
Amazon will donate 0.5% of the price of your eligible AmazonSmile purchases to CROSS whenever you shop on AmazonSmile! New Van for Cumberland Vista – Thanks to the generous donation of a local Foundation we were able to purchase a new Minivan to be used at Cumberland Vista in Dillsburg. 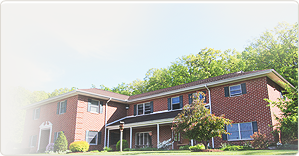 Our vans are constantly on the road taking residents to work, doctor’s appointments, and other commitments. Safe, reliable transportation is so important so this gift impacts our residents on a daily basis. Hoss’s Night at Chambersburg and Mechanicsburg on November 4, 2013. Present ticket (available at C and C Coffee on square in Chambersburg and at each of the Cross Homes) and 20% of the cost of your meal will go to CROSS. This applies to both lunch and dinner. Both camps were a great success. Our June camp for youth with physical and/or developmental disabilities generated lots of fun and excitement for the campers as they had the best week of their year. Many of the campers have been coming for years and looking forward to the next camp. Thanks to the myriad of volunteers we are able to make the camp very affordable for all. 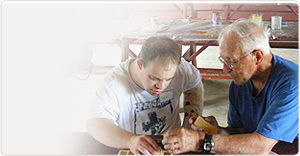 August hosted our older camp for adults with physical and/or developmental disabilities. Miss Patty is always a favorite as our Chapel speaker. We had a full house and had a waiting list. The weather was great and each day was packed with fun filled activities. The campers are still talking and proudly wearing their camp shirts. 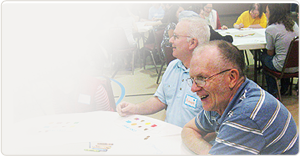 ©2019 Christian residential opportunities and social services. All Right Reserved.